Sometimes it feels like a complete waste of time and like your wheels are spinning in the mud yet going nowhere, but it does not have to be that way. If you set aside 15 mins, 4 times a day, marketing can be more manageable ( we’ll get to that in a little while). For example, I have all of the places that I market to on facebook in one folder and I have pre-written descriptions with the dates that I have promoted them, so that way I can keep track of where I have placed my crafts and where I have yet to finish placing my crafts and what I have promoted and what I said. Now for the part that you have been waiting for. So if you get at least 15 mins in of marketing and promotion during those times that I mentioned, you are more likely to have your posts read. And as a result , traffic to the place that you are marketing and promoting will increase. Also try to re-frame how you look at the promotion of your crafts because its not a daily thing that will end at the end of the week; it is a life long process. Each time you have something new you promote it so its never ending. So if you don’t get it all done today make a “To Do List” of where you still want to market and promote tomorrow and pace yourself. Also make a list of the views you had before you promote something and after you promote it, eventually you will see a spike in views. I think that my small business became serious for me when people started recognizing me on the street, when different jewelry companies that I buy from started featuring my work, when people feature my work on Polyvore on a set, when I am filling out a customs form to ship something internally, when a stop owner over seas sends me a thank you note and a picture and tells me that something they made from the supplies I sell them is selling and when I am able to tangibly buy things from money I made from selling my jewelry for my son. It humbles me and scares me how something that I create with so much love and peace in a very small, quiet loved filled space can go many miles away to a small village where people can use it to sustain their life. Ever since I was a little girl I would sit with my glasses reading encyclopedias about gemstones and different cultures and I was in awe of humans and how they create something from nothing. The love one shares for another, family linage, royalty,societal status,gender, whether single or married,and as a medium of expression. Today it is no different. 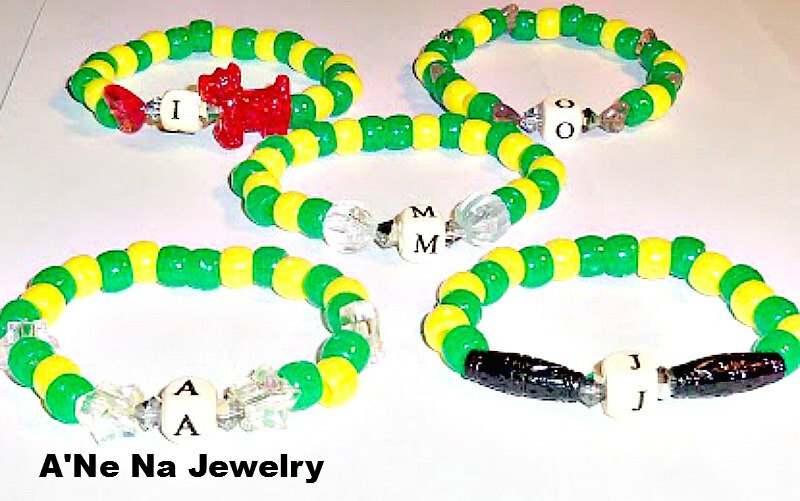 Granted that we have access to a wide range of materials with which to acquire and create jewelry due to online stores, it still serve a purpose to relay a message. I made these with sweet Georgia love. 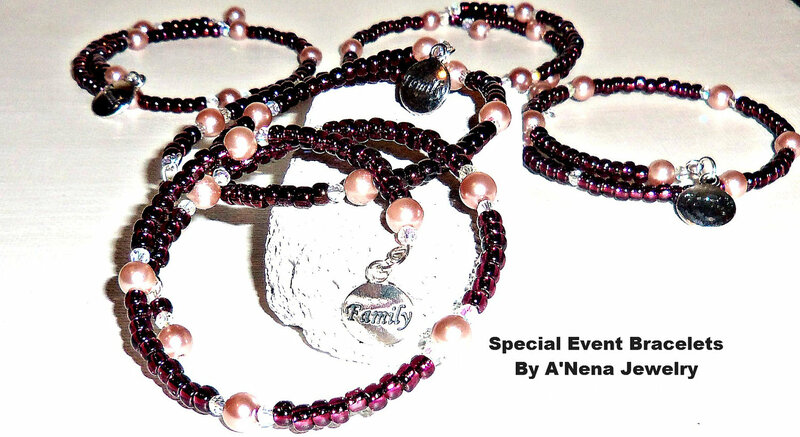 After I fashioned them I added a sweet and gentle nickel free, silver plated. crimping bead. 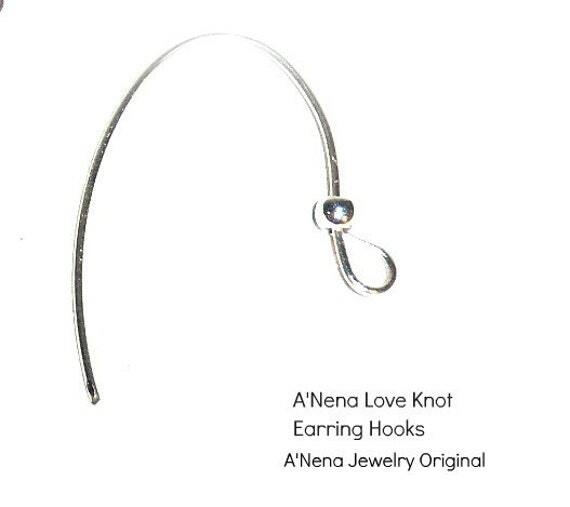 Nickel free, silver plated ,handmade ‘ Love Knots’ ear wires are handmade by A’Nena Jewelry Originals. They are delicately feminine and fashioned to make any earring a showstopper! They are 24 gauge, a little under and inch long and half and inch wide, light weight and fit through tiny earlobs and hypoallergenic; they are beautiful. 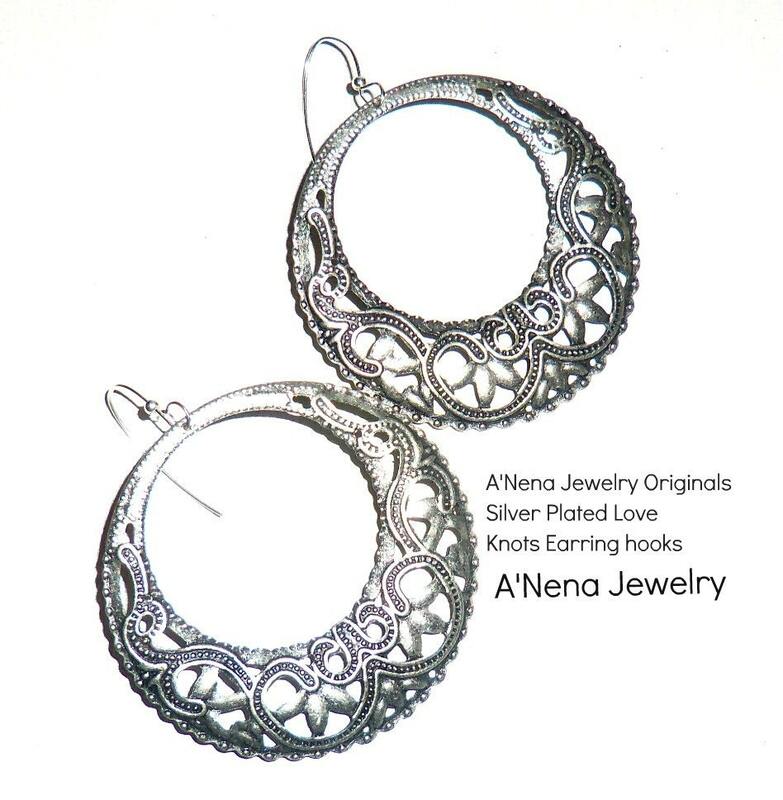 They have been added to the earrings in the picture to show you just how beautiful they look when made into earrings. 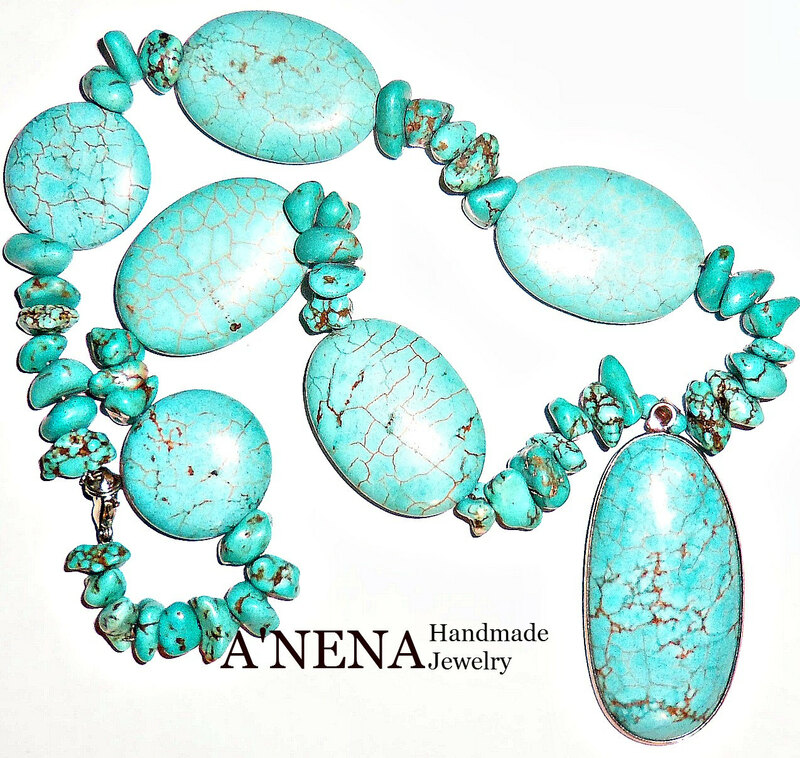 A’Nena Jewelry sells supplies in small amounts for times when you don’t need a lot of materials. Small amounts lets you buy just enough and store less so you can keep your work space nice and neat and continue your inspiration to make great things. 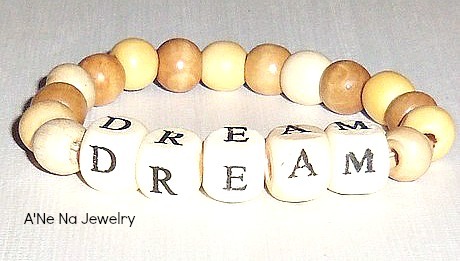 Guaranteed secure checkout, fast delivery,excellent customer service and quality materials. We add the supplies and you add the fun! 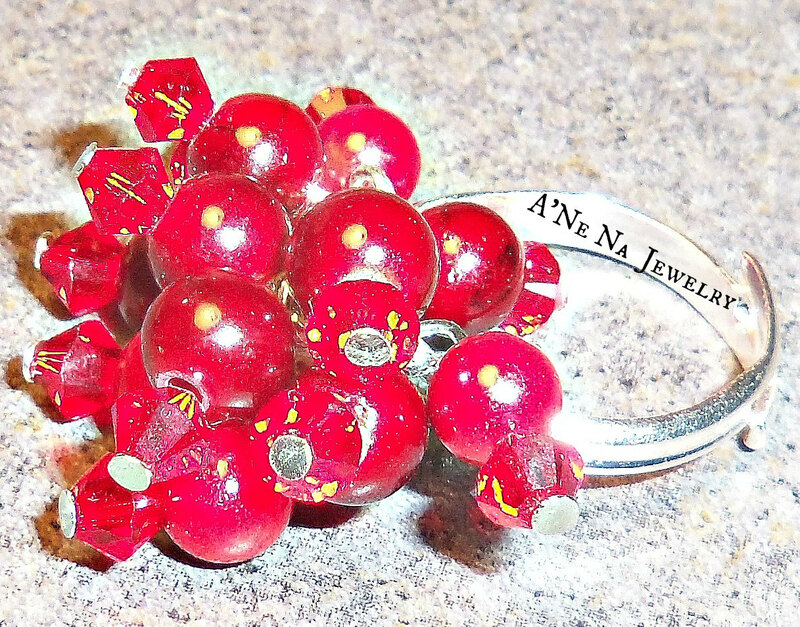 via Free Shipping 24 Count NickelFree Silver Plated by ANenaJewelry. 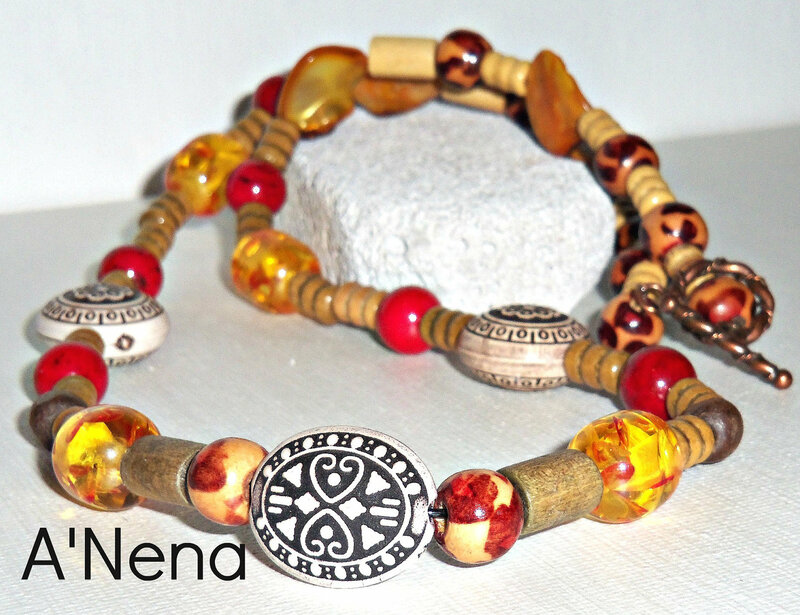 Men’s Jewelry By A’Nena Jewelry is a movie based on the bracelets and necklaces she creates for men. In her song ” So Good” she sings both lead and background vocals and sings about her deep passion for jewelry: creating it and wearing it. She sharing in her song her feelings and connection to semi-precious gemstones and making jewelry for men. Her concept was inspired by 15th century jewelry and what music would have sounded like if she had been alive in the 15 th Century singing and creating music in a cave by the ocean as she sings in a soft yet intense, melodic C minor to a thumping house/ Afro/Taino beat.